Volunteers are needed for our upcoming Once Upon a Time Gala on April 16, 2016! Join us at Once Upon a Time at Children’s Place Royale. This year’s event will celebrate 25 years of working with Chicago’s most vulnerable children. Volunteers are needed for morning, afternoon and evening shifts – please see the shift times and information below. Bring the gala to life by setting up linens, table settings, flower arrangements, silent auction displays and raffle tables. Breakfast and lunch will be provided. Help us put on the finishing touches by setting up and monitoring silent auction displays, raffle tables, Sweets Table and registration. Lunch will be provided. Put on your best dress or snappiest suit and check in guests, sell raffle tickets, monitor the silent auction and more. This shift also requires helping with teardown from midnight to 1 AM. Dinner will be provided at 5 PM. The event will be held at Morgan Manufacturing (401 N. Morgan St.) this year. If you are interested in volunteering please contact us. This year we are celebrating 25 years of helping Chicago’s most vulnerable children. We are so proud that with your help we have been able to expand our reach to more children and families over the years. Our families are so grateful for the abundance of support they received this holiday season. However, we are finding that some of them still need key day to day items. Currently, our families’ biggest need is diapers. Are you willing to host a diaper drive at your school or office? 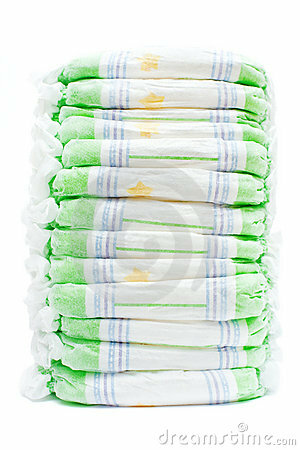 Are you willing to drop off a personal donation of a box of diapers? If so please contact us.